These tiles are 3.5 x 3.5 inches, and while I love the paper - the texture and thickness are perfect for tangling; they are just too small for me. As I noted way back in June as I blogged about my first Zentangle, there are so many tangles I want to try, and the tiles are so small that I was cramming everything into a small space, and it was making me go bleary-eyed, trying to make the designs so small! I even used my optivisor so I could actually see what I was drawing in some of these first tangles. I pulled out all my pens, pencils, and other Zentangling doodads, plus my Pinterest board loaded with tangle ideas, and started a new tangle a couple of days ago. I wanted to try using negative space, and since Valentine's Day is near, I decided to try a heart. Negative space is hard! I'm not 100% thrilled with the result, but it's OK. Surprisingly, it didn't take any longer to do this (relatively) huge design than it did to do the 3.5" tiles - it turns out that basically all I did was upsize my drawing - in other words, what you see in the pic above is the same design I would have crammed into the 3.5 inch tile! I like this way better! 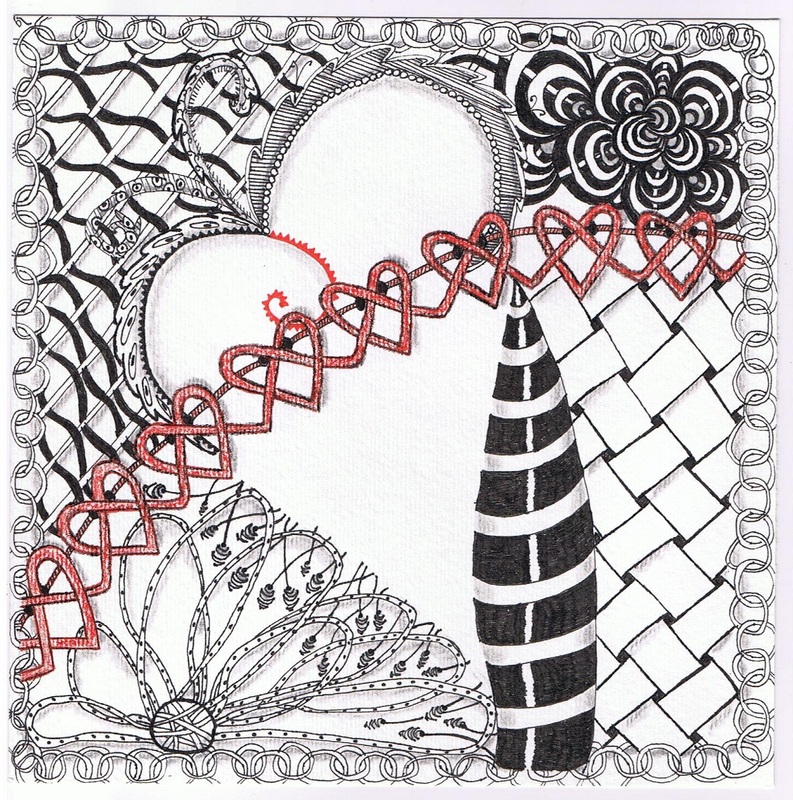 Here are some of the tangles I worked into this Zentangle: heart chain, Zinger, lupe, fricle, bunzo (my new fave! ), basketweave, W2, C-chain, and one I'm calling striped pole, for lack of a better name. I still need to work on my shading and reflection techniques - my reflection line on the striped pole is crooked. I don't know why, but that particular technique is much harder to do than it looks! Really lovely design. I know what you mean about sourcing just the right paper for tangles. For me, the perfect shape is postcard size. 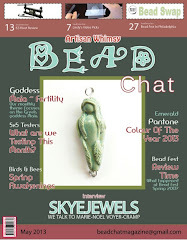 Negative space IS hard, but you've used it to great effect here with your hearts. Makes me want to go pick up a pencil and put it to paper! That is stunning! Would be lovely reprinted as note cards. Thanks, Ali - what a nice thing to say!